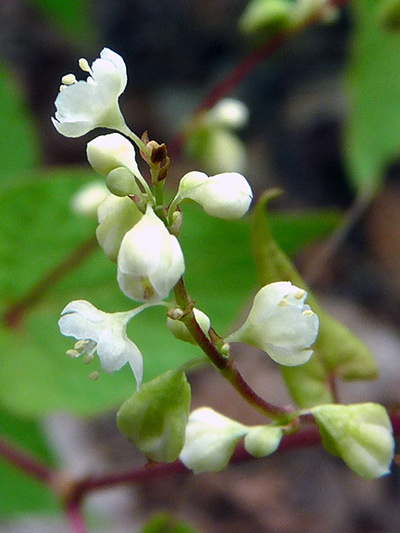 This annual and introduced vine has large sagittated leaves (spearhead shaped), sometimes cordiform (heart-shaped), has tiny white flowers, sometimes pink, but still a little green. Considered a weed because it can choke the host on which it climbs, the Eurasian black bindweed seems fortunately hardly present in the south-western Quebec regions (Montérégie, Estrie and Centre-du-Québec), regions heavily provided with cultivated fields. Oddly it is found in abundance a little further north.